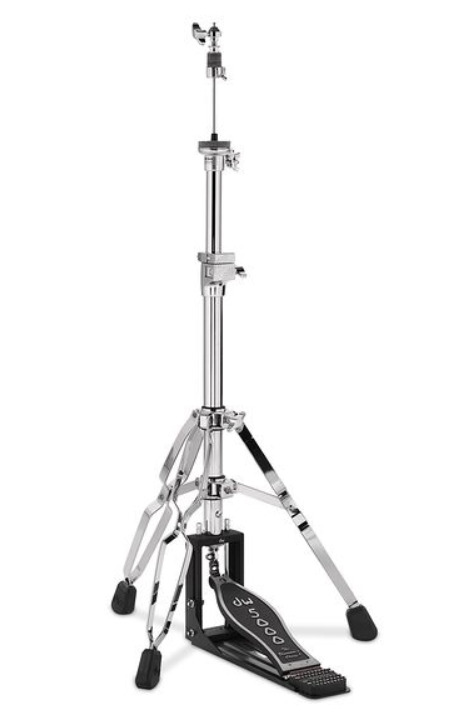 The heavy-duty DW 5000 Series Hi-Hat Stands are offered in both 2-legged and 3-legged models, featuring DW’s patented Lateral Cymbal Seat Adjustment, Hinged Memory Locks and Locking Clutch. The Folding Footboard stays attached to the base casting when folded up, so packing up is more secure. 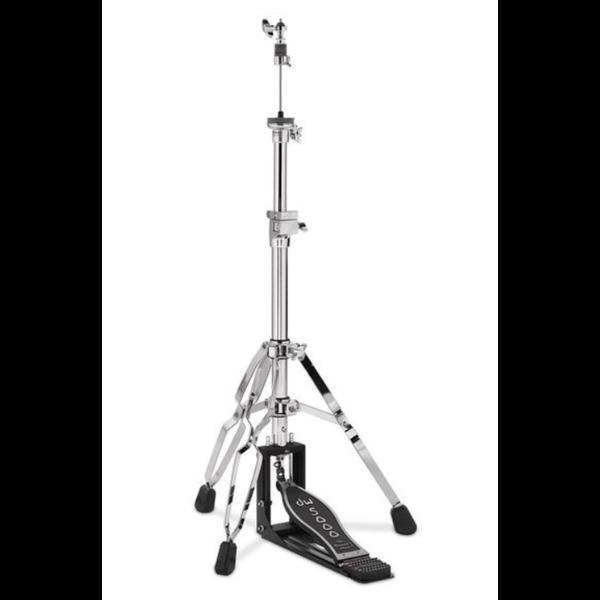 The 5000 Series Hi-Hat Stands were designed with DW’s patented Delta Ball-Bearing Hinge, which incorporates ball bearings on both sides for a smooth pedal motion. Our unique Bearing Link Connector reduces joint friction for smoother playing. The Swivel Legs are designed to get out of the way when you set up your other stands and pedals. And each hi-hat stand includes two pull rods in 21” and 15” lengths, so you can customize it to fit different drum kit set-ups.